Is it true that Parkinson’s disease is only a movement-related condition? Is Parkinson’s disease typically difficult to diagnose? What types of complementary therapies have been successful in managing Parkinson’s symptoms? What types of doctors other than my primary care physician should be included in my treatment? 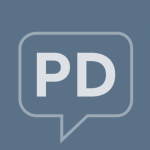 What are some ways I can manage PD-related fatigue? What are some methods to help me cope as a caregiver? I was just diagnosed with Parkinson’s disease. What do I do now?